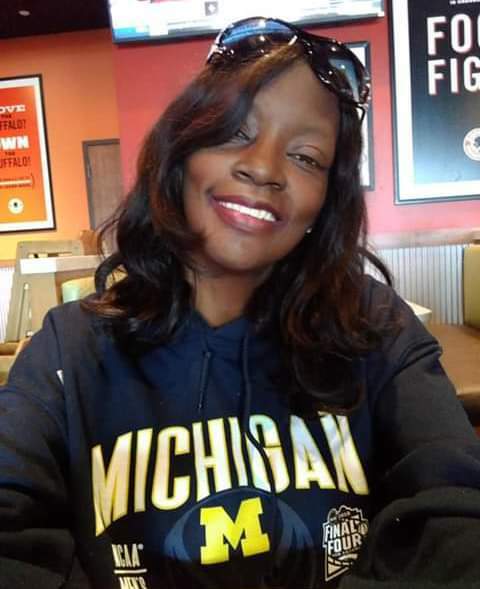 Mychelle Antoinette Adair, 48, left her earthly home unexpectedly on Friday, Feb. 8 at the home of a friend where she had been temporarily residing in Lancaster, KY. Mychelle was a native of Fort Wayne, Indiana born Aug. 21, 1970, to the late Yatmon and Lillian Rose Chew Cole. A college graduate, she had been unable to work but loved to cook and be with her family, a true homemaker. She will be fondly remembered by her companion of 18 years James Preston, sons Damion Napier, Usbias Shawn Phillips, Jonathan Adair and Isaac Hyser, and daughter Ashley Adair as well as her granddaughters Tazel, Shayliah, Karma'Liah, Lillian, Ariel, Ariana, and Dora, grandsons Jonathan, Jsr., Usbias, Jr. Shawn, Camrod, X'Zavion, Zechariah, Landyn, and Kenny, She leaves her childhood memories with sisters Sarah Douglas, Dorothy Mudd, and Vicki Johnson and brother Yatmon Cole, Jr. and also with an uncle and several aunts, cousins and numerous nieces and nephews. Mychelle will never be forgotten by her special friend Mary Adkins. She was preceded in death by her grandmother Rosie Lewis, 2 grandchildren, and 2 brothers. Her family will receive friends starting at 10:00 AM Thursday, Feb. 21, and ending at 11:00 AM at Hager & Cundiff Funeral Home. They will remember her at a Graveside Service in Georgetown Cemetery at 12:00 Noon on Thursday. Honoring her as pallbearers will be Jonny Adair, Damion Napier, William Graves, and Greg Bates, Isaac Hyser, and Dwayne Buckner. “What the heart had once known will never be forgotten”. Hager & Cundiff is honored to be chosen to care for Mychelle and her family.